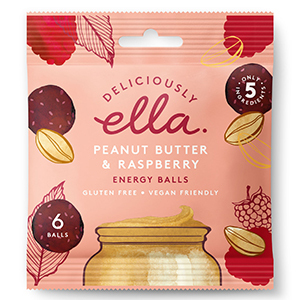 8 results found for "deliciously ella"
These energy balls have the perfect balance of tartness from the raspberries and sweetness from the peanut butter and dates. 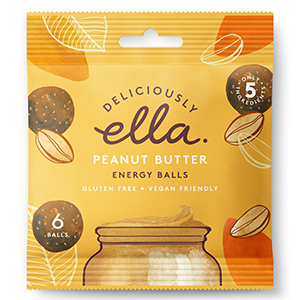 Just like eating peanut butter from the jar, these bite sized energy balls are perfect for snacking. 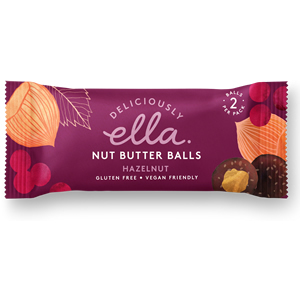 Made in small batches with just five ingredients, they carefully blend creamy peanut butter with dates, peanuts and gluten free oats, adding a pinch of salt before rolling them into small balls. A delicious mix of peanuts and rich, dark cacao is used for this recipe. They are the perfect chocolatey pick me up. Rolled into bite sized balls, they are great for snacking and sharing. 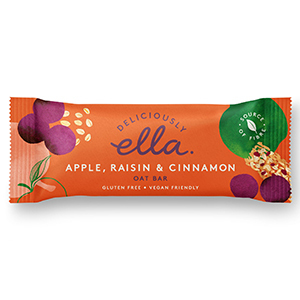 These sweet, chewy and delicious classic oat bars are filled with chopped apple, juicy raisins, gluten free oats and a touch of cinnamon. 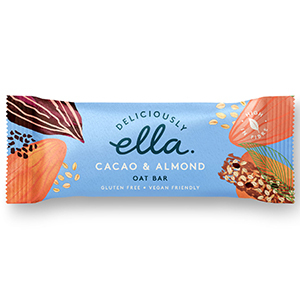 These chocolatey oat bars have lovely hints of almond butter and sweet coconut blossom nectar. 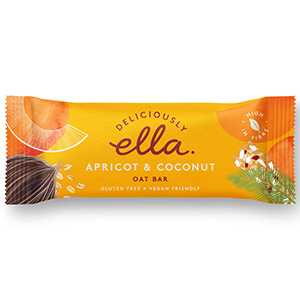 Simple and so good, these oat bars are filled with juicy apricots and chewy coconut. 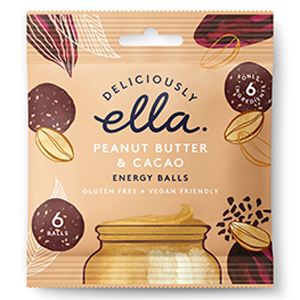 Inspired by our love of chocolate and nut butter, we blend almonds, cacao and dates to make chocolatey balls, then fill them with a creamy, nut butter centre. They’re the perfect afternoon snack. 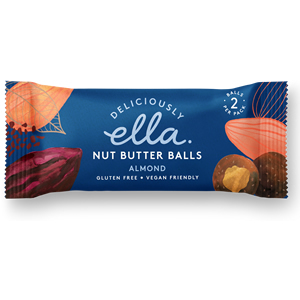 To make these, we blend hazelnuts, dates, cacao and raisins into delicious balls, before filling them with a creamy hazelnut and almond butter centre. Made in small batches, they’re our go-to on busy days.